Little is known about the world’s largest living fish, gentle giants reaching 12 meters (40 feet) in length. Researchers from the Smithsonian Tropical Research Institute (STRI) and colleagues tracked a female whale shark from the eastern Pacific to the western Indo-Pacific for 20,142 kilometers (more than 12,000 miles), the longest whale shark migration route ever recorded. 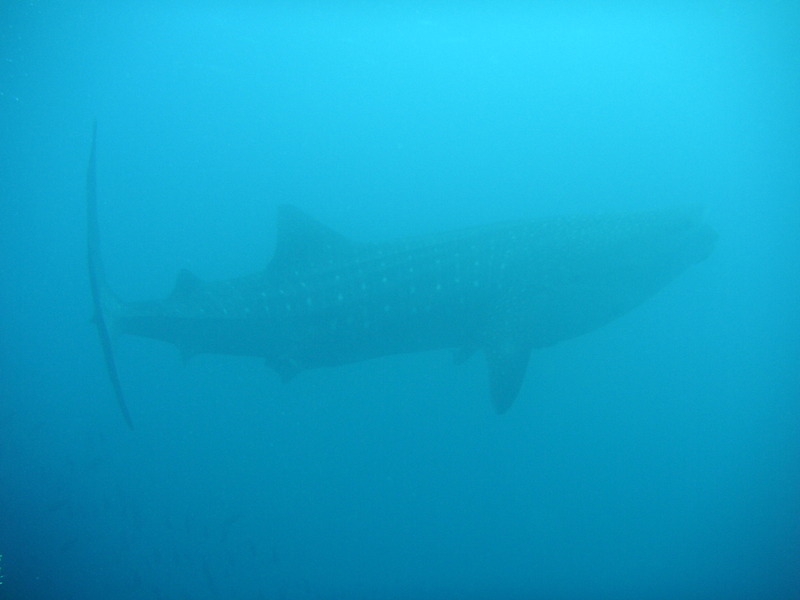 STRI marine biologist Héctor M. Guzmán tagged a female whale shark (Rhincodon typus) near Coiba Island in Panama, the largest island off of the coast of Central America, a National Park, World Heritage Site and marine protected area. His team named the shark Anne for conservationist Anne McEnany, president and CEO of the International Community Foundation (ICF). The multi-year project also tagged 45 additional sharks in Panama with sponsorship from Christy Walton’s Candeo Fund at the ICF, along with STRI and Panama’s science and technology bureau (SENACYT). Guzmán estimated Anne’s position based on signals from a Smart Position and Temperature (SPOT) tag tethered to the shark, received by the Advanced Research and Global Observation Satellite (ARGOS). The tag only communicates with the satellite when the shark swims near the surface. Anne remained in Panamanian waters for 116 days, then swam toward Clipperton Island (France), nearing Cocos Island (Costa Rica) en route to Darwin Island in the Galapagos (Ecuador), a site known to attract groups of sharks. 266 days after she was tagged, the signal disappeared, indicating that Anne was too deep to track. After 235 days of silence, transmissions began again, south of Hawaii. After a nine-day stay, she continued through the Marshall Islands until she arrived at the Marianas Trench, a canyon in the ocean floor near Guam in the Western Pacific where movie director James Cameron located the deepest point on the Earth’s surface almost 11,000 meters (36,000 feet) below sea level. Whale sharks dive to more than 1900 meters (6000 feet). But it is unknown what the animal was doing in this area. Found in warm, tropical and sub-tropical waters, it is thought that about a quarter of whale sharks live primarily in the Atlantic, whereas about three-fourths live in the Indo-Pacific. Tourists are drawn to sites where 500 or more whale sharks gather: in Oman, Australia, Galapagos, Mexico, Mozambique and the Seychelles. Large groups are also reported from Taiwan, Southern China and the Gujarat coast of India. Genetic studies show that whale sharks across the globe are closely related, indicating that they must travel long distances to mate. Whale sharks have been tracked for shorter distances along similar routes, but this report is the longest-recorded migration to date and the first evidence of a potential trans-Pacific route. Like Anne, other whale sharks appear to follow the North Equatorial Current for most of the distance. Large females can swim an average of 67 kilometers (about 40 miles) per day. 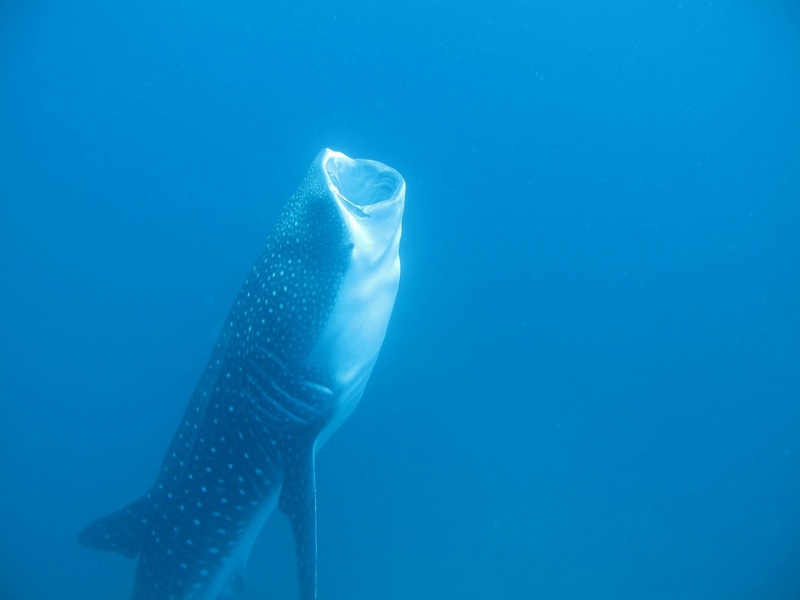 The whale shark is one of only three known filter-feeding sharks, feeding on plankton, fish eggs, krill, crab larvae as well as small squid and fish (and, accidentally, plastic, which they cannot digest). 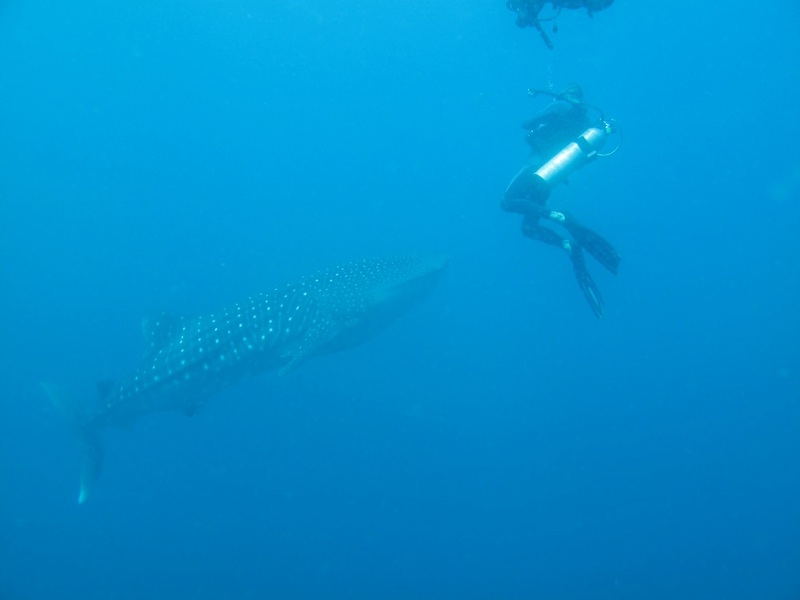 As such, they are not considered to be particularly dangerous, and tourism companies that offer the opportunity to swim very close to whale sharks are common near areas where they aggregate in large numbers. But their size also attracts fishing boats. They are sought after for their fins and meat, for their teeth (used for crafts and sold to tourists) and for cartilage and oil with purported medicinal value. Juvenile whale sharks often end up as bycatch in tuna and other fisheries. Whale sharks were classified as endangered in 2016. During the past 75 years, it is estimated that nearly half of the world’s whale sharks have disappeared. In many parts of the world, whale sharks have legal protection, but regulations are often not enforced. Guzman’s data were used to design and draft local and regional policies for the protection of the species. 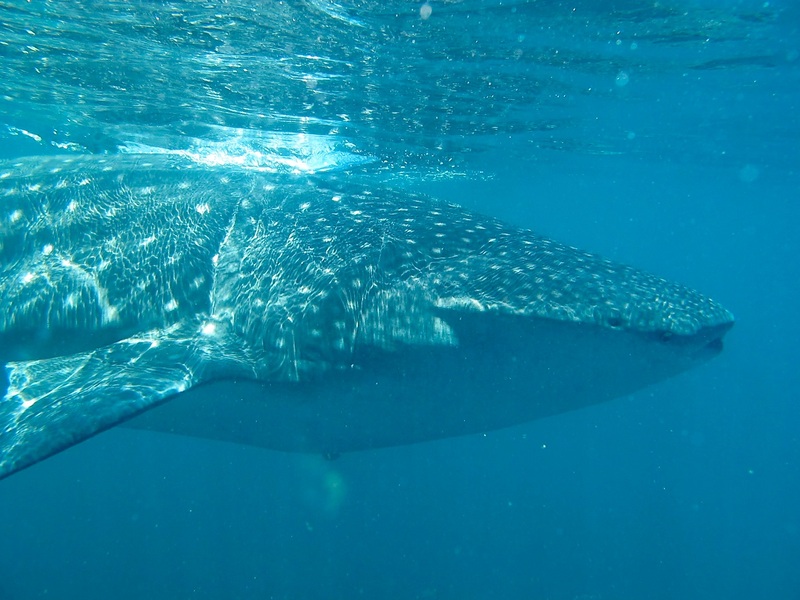 Fishing, capture and sale of whale sharks are prohibited in Panama by Executive Decree No. 9, signed in 2009. 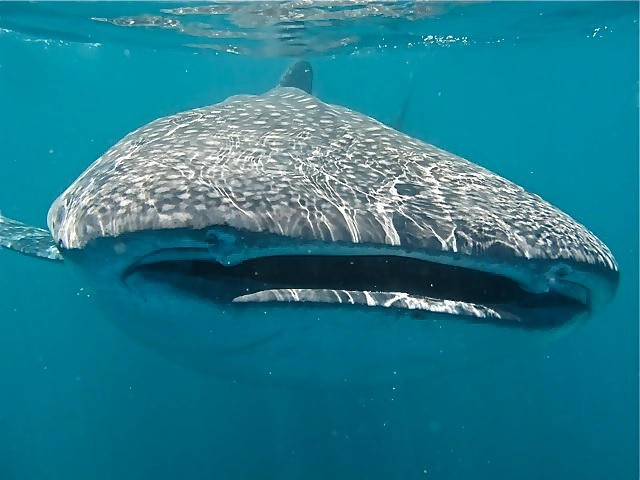 In 2014, Panama’s environmental authority passed an additional resolution regulating whale shark watching in Coiba National Park and the Isla Canales de Afuera marine reserve. The resolution includes a Whale Shark Watching Manual but unfortunately, tourism activities are not well organized and the authorities are not present to enforce the regulations. 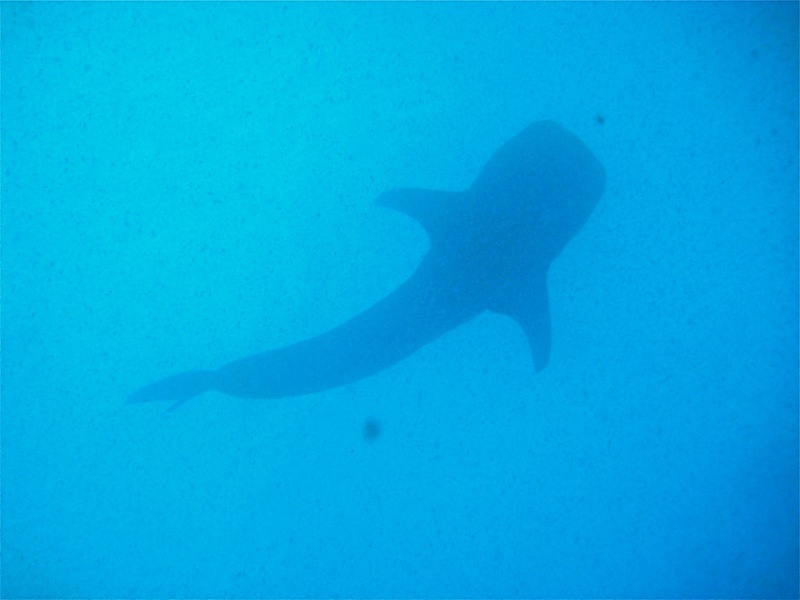 Whale shark encounter off Caribbean coast of Panama. 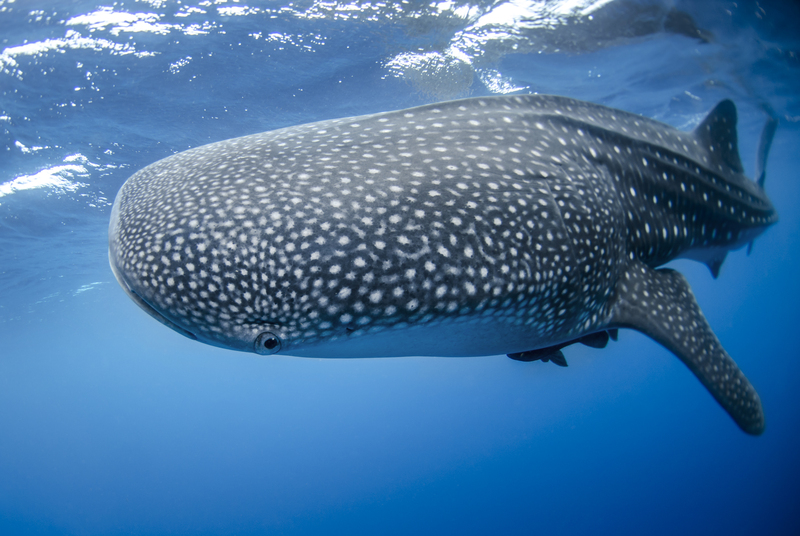 This fish was about 16-18 feet in length but whale sharks can grow to 40 feet and are the largest fish.